8VC and Schneider’s first shared effort is focused on their mutual investments in Platform Science, a company that provides an internet of things-connected ecosystem, in this case using vehicles, according to San Francisco-based 8VC, which manages more than $1.5 billion. These vehicles, using Platform Science’s hardware and integrated software, would become intelligent computing assets that consume and contribute data to the supply chain in real time, in effect, unlocking data to increase performance, streamline tasks and improve time management, savings and driver satisfaction. “Today, technology leadership requires building deep partnerships with leaders in centers of innovation, like Silicon Valley or wherever we identify them, to take advantage of change long before it becomes obvious to the rest of the world,” Schneider Chief Information Officer Shaleen Devgun said in a statement. Schneider ranks No. 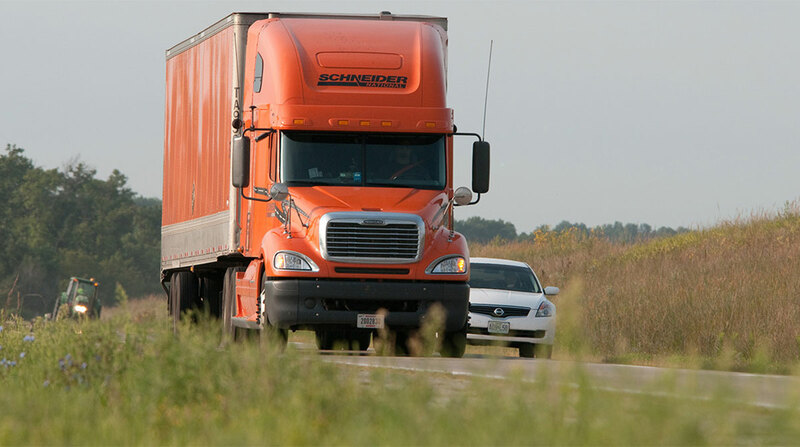 6 on the Transport Topics Top 100 list of the largest for-hire carriers in North America. It ranks No. 18 on the TT Top 50 list of the largest logistics companies in North America.